Double Big Mac chips; all optical transistors; better batteries from China. Using molecular beam epitaxy (MBE), Cornell has devised a method of growing an emerging class of oxide films called Ruddlesden-Poppers. 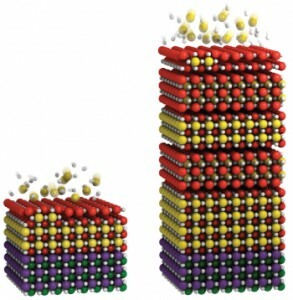 These oxides are layered structures, which consist of 2D-based perovskite slabs interleaved with cations. In the future, these structures could be used in various applications, such as superconductivity, magnetoresistance and ferromagnetism. In the lab, researchers from Cornell devised layered structures that resembled a “Double Big Mac” from fast food giant McDonald’s. The layered structure had alternating double and single layers of meat patties–strontium oxide–and bread–titanium oxide. Researchers used MBE to create the layers. During processing in the lab, researchers noticed that the Ruddlesden-Popper films were missing a layer of strontium oxide. The Max Planck Institute of Quantum Optics has taken a step towards devising the long-awaited optical transistor. The technology could pave the way towards long-haul data transmissions using an all-optical network. Researchers from Max Planck have devised a type of optical transistor using a cloud of ultra-cold rubidium atoms. The device had a twentyfold amplification of signal variations at the one-photon level. In an optical transistor, the input signal is a weak light pulse, called the gate pulse. 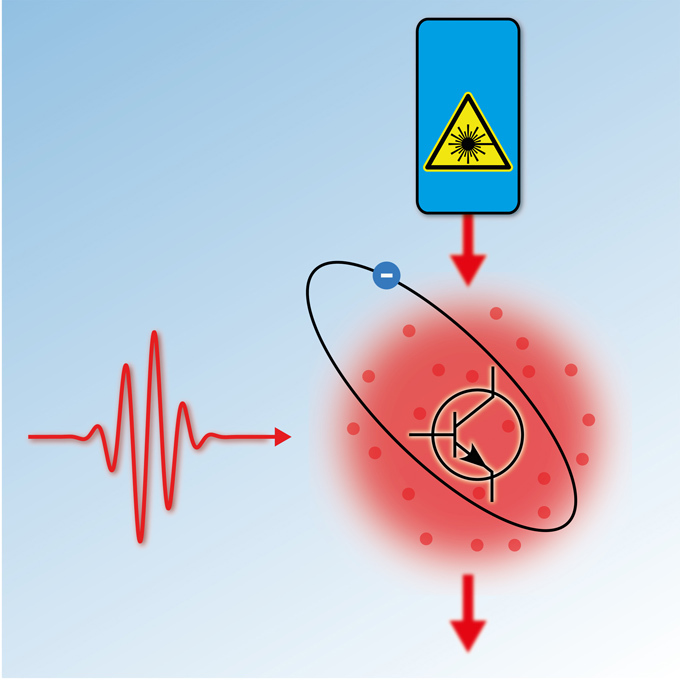 This, in turn, modifies the transparency of a medium for a second pulse, dubbed the target pulse. 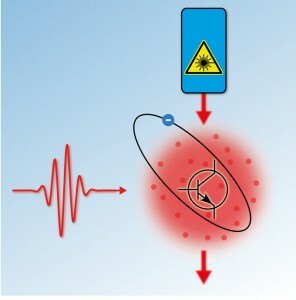 By exciting one atom into a Rydberg state a single photon (red wave packet) reduces the transmission of a laser pulse through a cloud of ultra-cold rubidium atoms by 20 light quanta. (Source: MPQ). In the lab, researchers from Max Planck devised a medium, which consists of a cloud of about 150,000 rubidium atoms. The atoms are kept in an optical dipole trap. This is done by using two crossed laser beams. At 0.30 micro-Kelvins, the cloud can be held in place for several seconds. The atomic cloud is irradiated with two light pulses of the same color. The pulses are separated in time by two microseconds. The first gate pulse is weak. It has less than one photon on average. Lithium-sulfur (Li-S) batteries have three to five times the capacity and energy density of today’s commercial lithium-ion batteries. In addition, sulfur is inexpensive and environmental safe, making a viable candidate for next-generation batteries. But Li-S battery technology also suffers from various issues. The technology has poor electrical conductivity and volume expansion of sulfur during the cycling periods, according to researchers. To solve these problems, China’s Fujian Institute of Research on the Structure of Matter has devised porous carbon nanomaterials for encapsulating sulfur. This, in turn, could enhance the electrochemical performance of Li-S batteries. Researchers synthesized a tube-in-tube carbon nanostructure (TTCN). The technology is based on multi-walled carbon nanotubes (MWCNTs). As it turned out, the MWCNTs and the outer porous carbon nanotube provided high electrical conductivity. It also enables a high sulfur loading and accommodates volume expansion. And the outer porous tube wall inhibits the polysulfide dissolution, according to researchers.